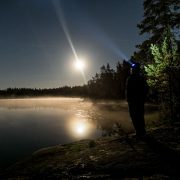 For few years, I had been sleeping many nights in my hammock in the woods of Finland. “Wait, you said sleeping in a hammock?” you might ask at this point. 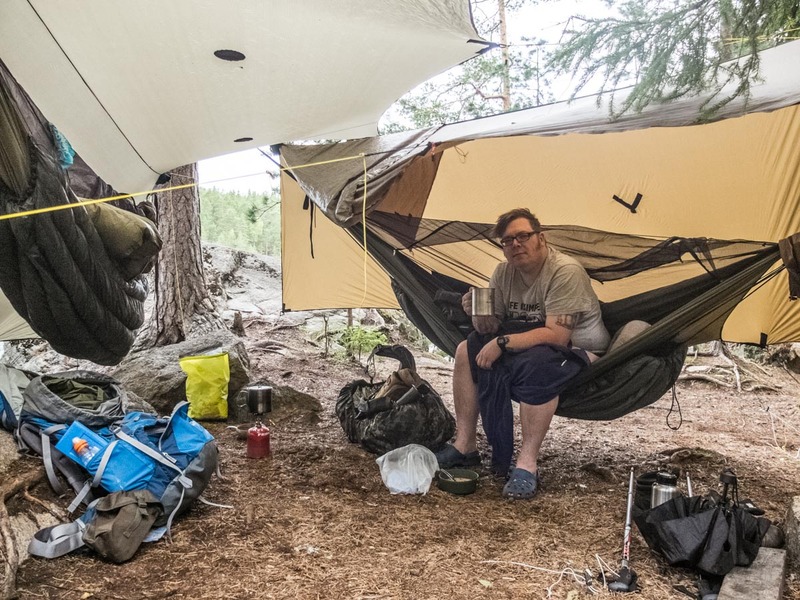 People know tents, but what comes for a good option for solo travelers and hikers, hammocks are slowly becoming an option. People know what hammocks are, since many might have had some sort of hammock in their garden or backyard. But how many have been thinking to use it in the woods? Few years ago i started looking for a tent for myself. I had been doing small day hikes in the local forests, and I wanted to spend a night there too. 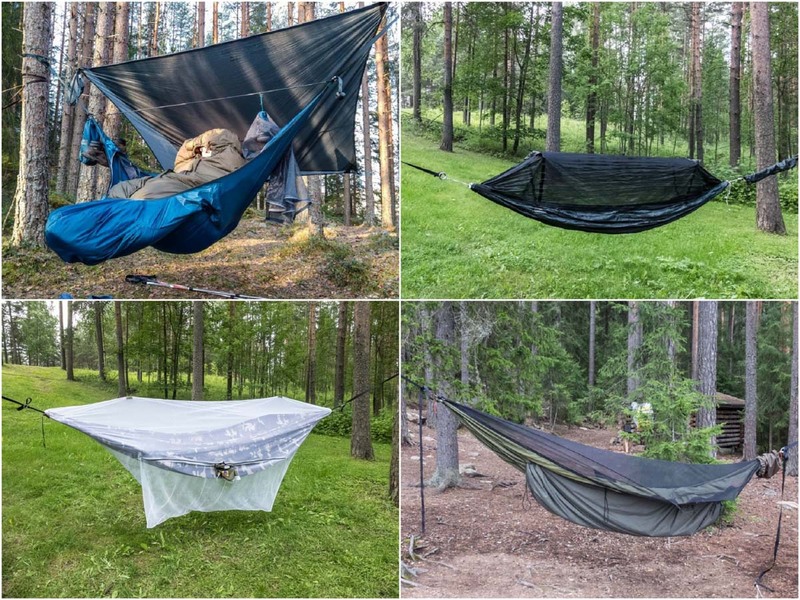 While I was looking for reviews about certain tents, I found an article, A tent or a hammock? This really got me interested about hammocks, and I wanted to find more information. 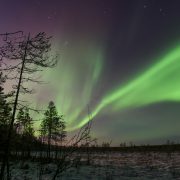 I found sites like The Ultimate Hang and Hammock Forums. Also a well-known hammock guy Shug, has a great Youtube channel for information and how-to’s. 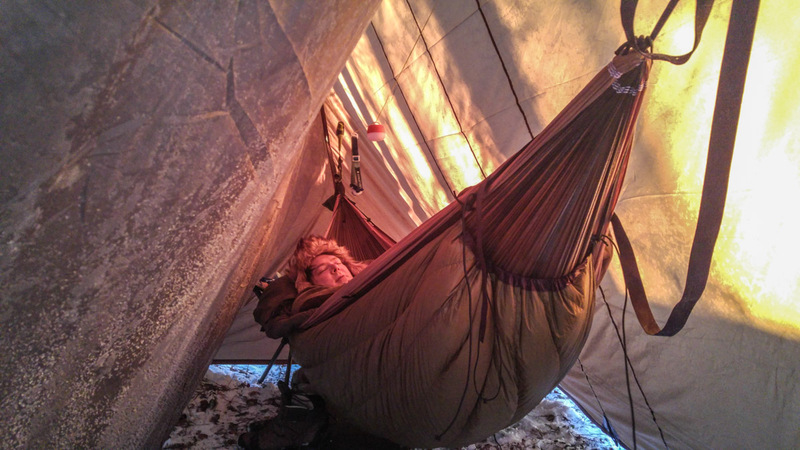 Basically a hammock is easy to set up: all you need is two trees. 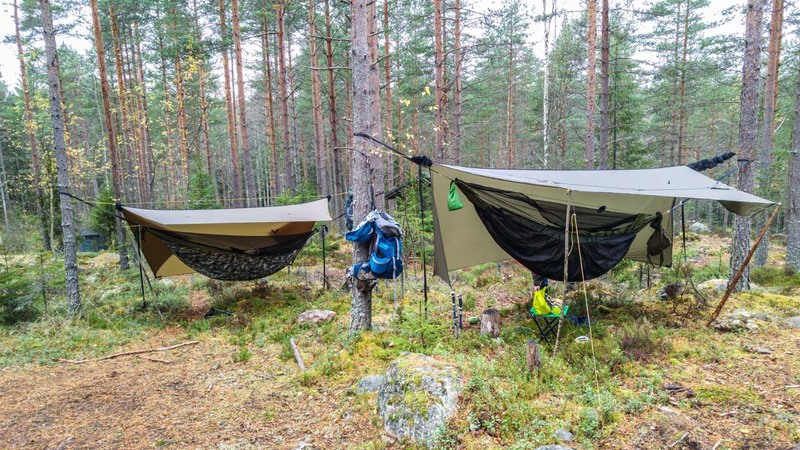 Depending on the length of your hammock, you have to find trees that are 4–5 meters apart. I love hammocks because they are so versatile. It’s also great being able to see the weather outside. When I wake up, I just open the zipper and sit like I would sit in my bed. I can reach out and turn on the stove, and a bit later I can enjoy coffee in my bed. It’s not hard to find two trees where I can set my hammock – it’s even easier than finding a good spot for a tent. No spiders, ants or other insects or snakes bother me while I sleep. A bit later I bought my first hammock, Ticket To The Moon double. I have used it quite many times already. After getting some more experience I have bought a few other models as well, like DD Hammocks Frontline, Warbonnet XLC and Amok Draumr. There are many hammock manufacturers like Warbonnet, Amok, Ticket To The Moon, ENO, DD Hammocks etc. However, very few of them are sold here in Finland. A simple hammock is a single big fabric, which are tied from the ends. These are called gathered end hammocks. Some manufacturers use parachute fabric such as silk, and some use different kinds of nylon. Fabric also gives the strength to the hammock, and there are certain user weight limits. Most hammocks are one or two layer modes. A double layer allows you to put an insulation pad between the layers. Double layers might have the weight limit up to 300 kg. Amok and Exped have models that require airpads to build a frame. Without the pad, the hammock is quite useless. In these hammocks you lay sideways, which has benefits such as a very comfortable lay. Amok has designed this model to be more adjustable, so you can also comfortably sit on it by pulling the adjustment straps. In the standard hammocks, you have to lay in the same diagonal direction (e.g., head on the left, feet on the right or vice versa). This way you will have the best possible lay in the hammock. It also helps to avoid possible knee or calf pressure that could make you uncomfortable. The foot end has to be a bit higher than the head end, so you won’t feel any sliding. It is possible to sleep on your side, but stomach sleepers will have problems. If the hammock is too tight, you feel shoulders squeezed. If it’s too loose, it has a calf ridge in the middle of the foot end, which causes pain to the feets. The longer the hammock is, the more comfortable you get. The hammock should be at least 1 meter longer that the user. When the hammock is in banana shape and the suspensions are in a 30 degree angle down from the tree attachment points, that’s when you get the most comfortable sleeping position. Suspension is one the most important parts of the hammock. This will hold you between the trees. The best thing is to use so-called tree huggers, which are usually 2,5 cm wide straps. 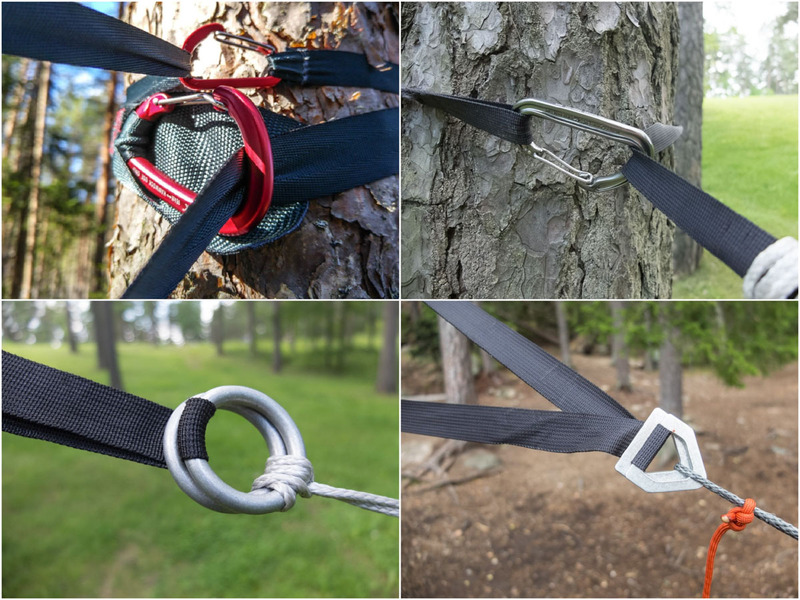 These straps are important, because they will also protect the tree bark. Some use a thick cords such as paracord, but they leave very bad pressure markings to the bark. The tree might be badly damaged from those ropes. If the suspension is pulled too tight, it might break. This is because the forces are very high, bigger than in the 30 degree setup. A 30 degree angle has only the same weight as the user. Straight line might have 10 times of user weight. There is many ways to hang a hammock. Some use hooks, carabiners, buckles, whoopie slings (dyneema cord) or just plain wide rope. Buckles and whoopie suspension are also adjustable, so it will be much easier to set. Tarpaulins are usually known as tarps. A tarp will cover you from the sun, rain and wind. Most of them are made of nylon, some lightweight solutions are made of cuben fiber fabric. Usual tarps are 3 meters by 3 meters, but also larger ones like 4 m x 4m are available. There are also so-called hex shape tarps, and some of them have doors. This allows you to cover yourself from the wind or rain much better. You can also set the regular square tarp as a hex with doors by using the loops sewed to the sides. 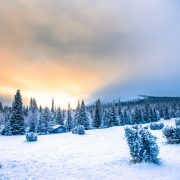 To be able to sleep warm and comfortably, you need to have good insultation around you. To cover your back, a sleeping bag simply isn’t enough, since it will compress under you and loose its insulation. One way is to use pads, such as foam or air pads. Both are good options, and depending on the weather and the pads R-value, it will insulate your back. Down sides are that air pads can not inflate fully, because the shape will affect to the lay. Other one is that it might slide under you, when you are turning or moving. Underquilts are a great option, since they don’t affect to the lay. A quilt is around you, under the hammock, and will cover your back and also your sides. An underquilt has its own suspension, that usually is shock cord. They are attached to the hammock ends. An underquilt has to be set tidily under the hammock, so that it will seal well. Even small air gaps let the warm air escape, and you will have a cold back or cold feet. Topquilts are basically sleeping bags without a zipper and a hood, and they are used the same way as a blanket. This allows you to move more freely and getting up is much easier. I use sleeping bags too, but they are sometimes very annoying to use, because you have to get in and wiggle like a worm to get in it well. I am a restless sleeper so I use sleeping bags in colder seasons. Are hammock systems light? Yes and no. 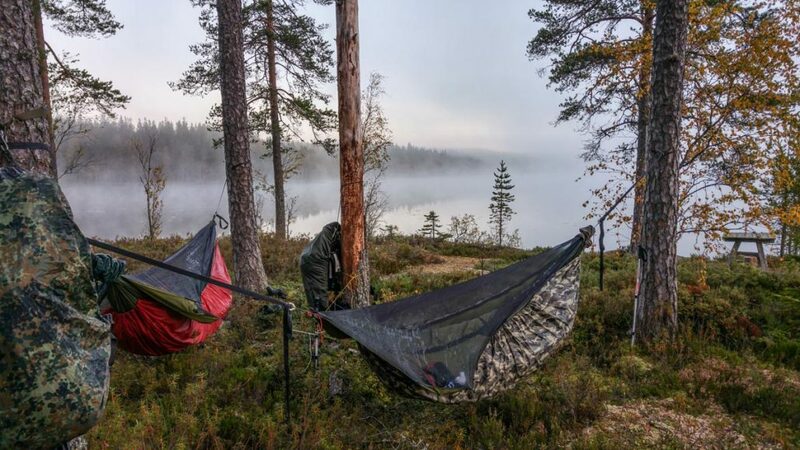 There are many ultralight options like DD Hammocks superlight series. They need very little space and their total weights are less than a kilo. They have limitations too, for example the maximum user weight is a 100 kg. Choosing light material will save weight, but it will also increase the price. These are just the basics for the hammock. To find out more, I recommend these websites: Ultimate Hang, Shug’s youtube and Hammock Forums. Warbonnet with super fly tarp. Both in porch mode. Today I am mostly using the Warbonnet Blackbird XLC. 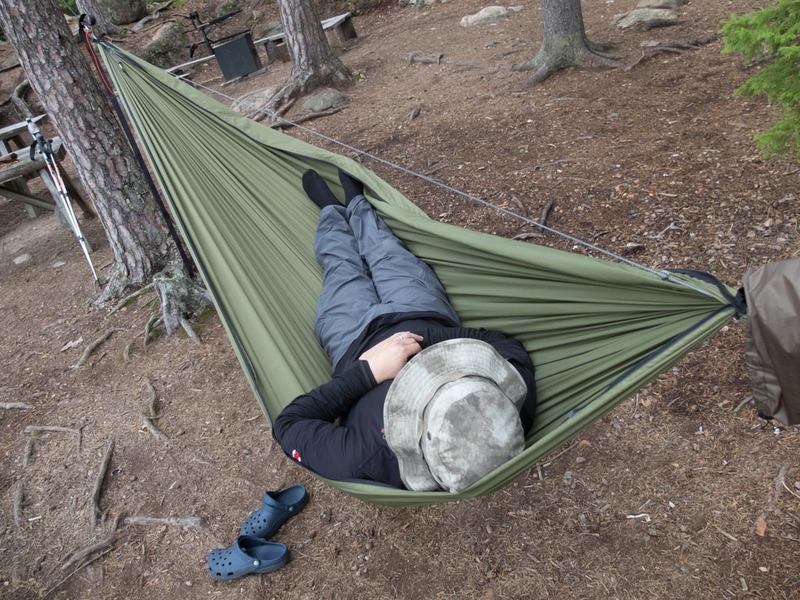 It is quite a long hammock, 335 cm, and it offers many great features. Such as removable bugnet, designed footbox for better lay and comfort, and a great view outside. Really long straps with buckles are great, they protect the bark in the trees. Buckle suspension is easy to use and it holds well. Bugnet is removable, which changes it to a Traveler hammock. With the bugnet, you also have a storage shelf, which is very useful. I usually put my eyeglasses and my phone there. The total weight is 1,1 kg, and it has double layers with 180 kg weight limit. I have slept well many nights in the Warbonnet. 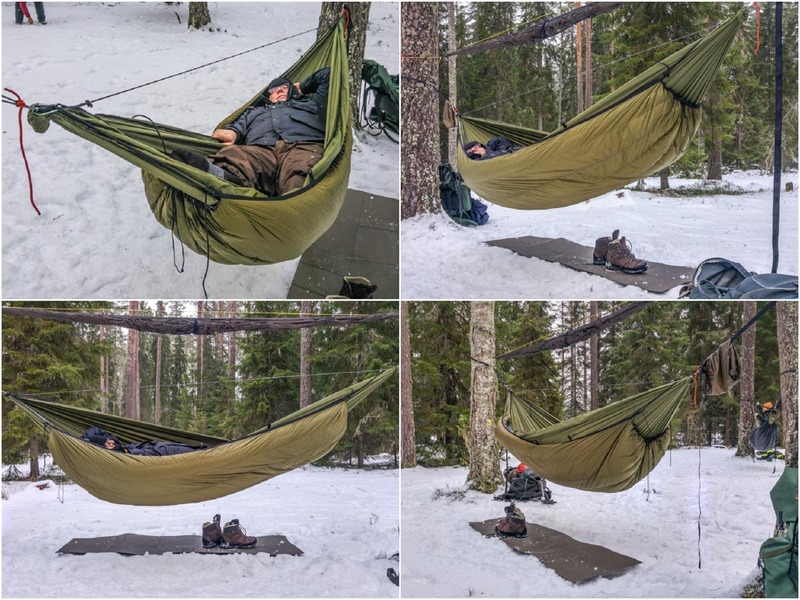 Warbonnet hammock and tarp review can be read in Finnish from HERE. The tarp is a Warbonnet Super Fly, which has 2000 mm water barrier. It is 335 cm long and 305 cm wide. Both ends have doors, which can be closed to get more cover from the wind and rain. This tarp is designed to be used in the winter as well. It has pull outs on both sides to make more space inside. 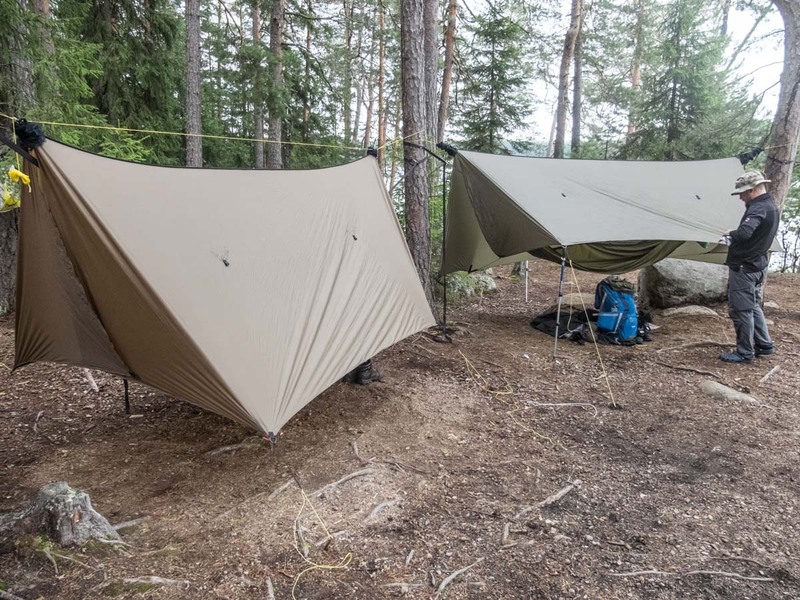 This tarp is very light, weighing around 500 grams. With the stakes and cords the total weight is 700 grams. This tarp is well made using good materials, but the pull outs need to be sealed with silicon etc, so that any water won’t drip inside. 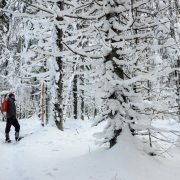 To cover my back from the cold temperatures of the Finnish winter, I bought new down underquilt, the Cumulus Selva 600. Its Pertex fabrics are a great protect from moisture. The outer fabric is also water-resistant. The hydrophobic down is also said to be less sensitive to moisture, although not everyone agrees. The loft is amazing and this is truly a quality work. This is size L, which means that it’s 235 cm long. 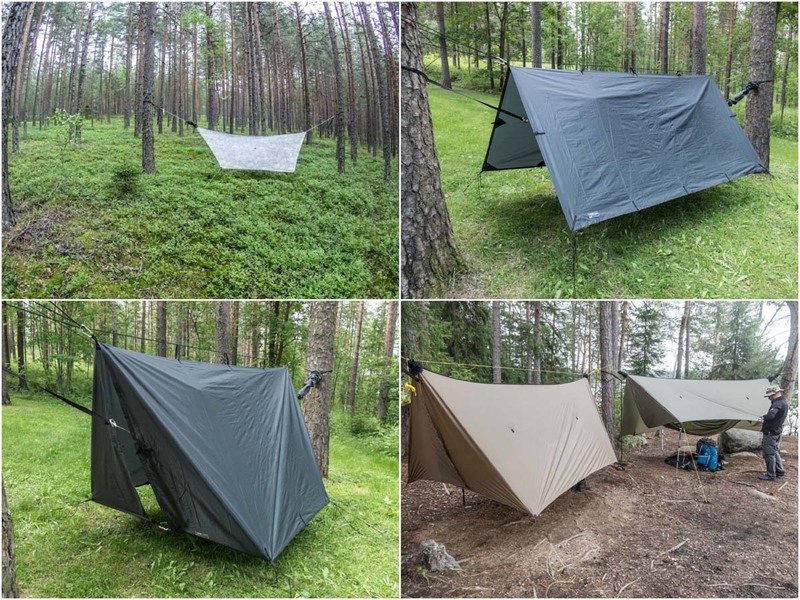 The size M is available too, with 215 cm lenght, and in my opinion it’s better for regular hammocks. The size L works well with Warbonnet, because it is 45 cm longer than Ticket to the moon. A draft collar helps to seal the air leaks from the ends. 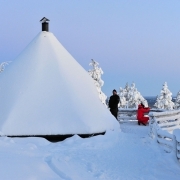 Selva 600 is comfortable to use in -14°C. 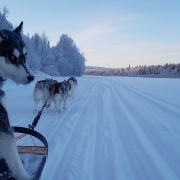 The limit is -22°C. I slept warm and cozy in -10°C. Cumulus is well known for their down clothes and sleeping bags. You can read the full review from my site HERE. As a top insulation, I use my Haglöfs Cornus +2 bag, mostly from late spring to later fall. In the summer I just use it as a blanket. In winter time I have my Savotta Military bag, which has comfort around -15°C. I have slept over a hundred nights in my hammock. To me it is a cozy bed, where I can read, sleep and even eat! Because I love to be near water, I have found great places where I can wake up and see the lake. We have our own Finnish hammock group where I have met great people who share the same interests. We have had a few meetings with lots people. To me, hammocks are the perfect solution for sleeping in the woods. With a hammock I am able to choose my place better that with a tent. Surely, using a hammock requires more attention so that I won’t hurt myself. It’s more complex in some cases and needs more things to know, like knots for example. A backpack needs to be under the hammock or tied down to a tree. 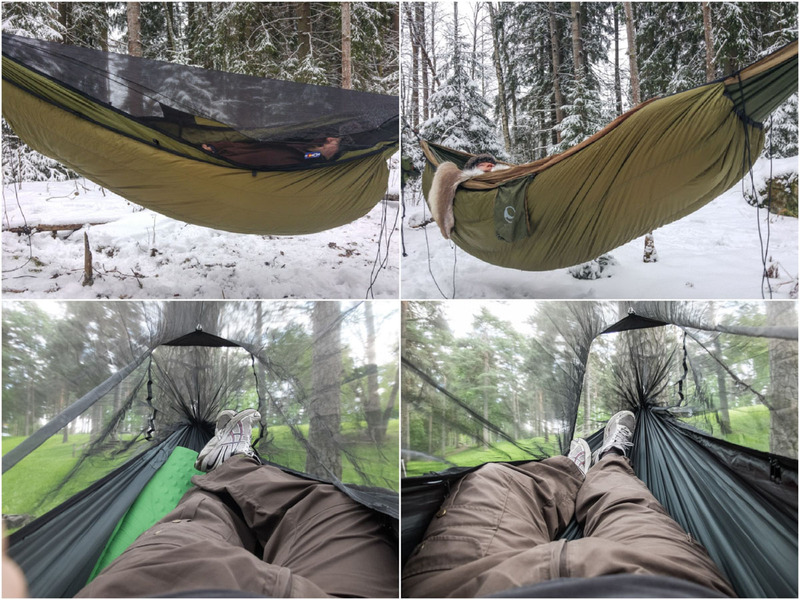 It took some time to find myself a good hammock, and I have been enjoying the Finnish nature in many ways, all seasons, all weather, with friends, or alone.